I haven't posted about a Record Bag for a while. I'm really taken with the Eastpak bag I found. 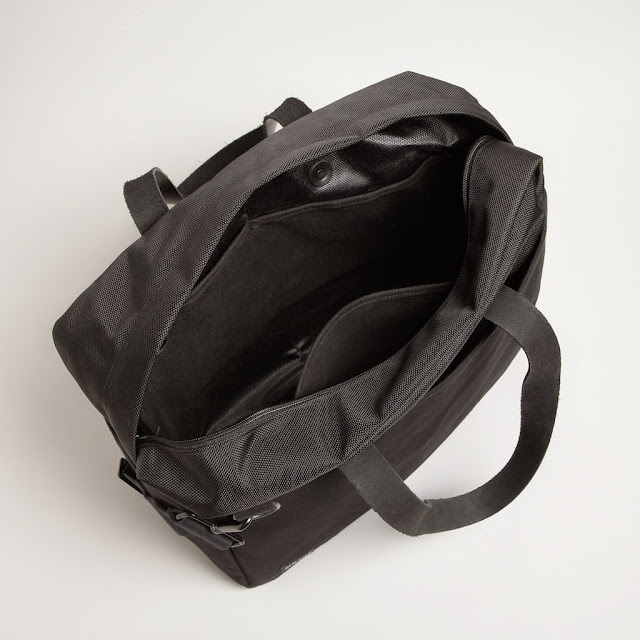 However, this bag, a weekender from BLK PINE WORKSHOP and GHOSTLY INTERNATIONAL really caught my attention. Billed as the ideal bag for DJs and weekend travellers alike ... Ghostly x Blk Pine Workshop's aptly named "Weekender" offers the perfect amount of room to carry a few changes of clothing along with 20 vinyl records. 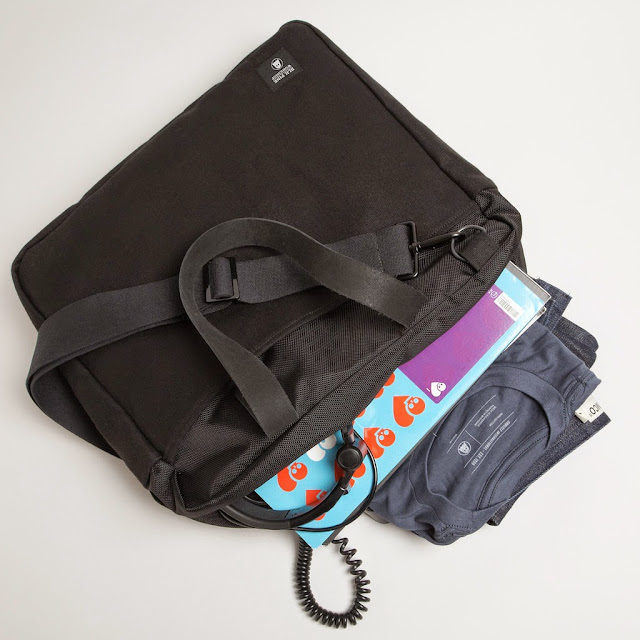 It comes in at 16" wide x 14" tall x 5" deep and features 1 large exterior pocket, 2 small exterior pockets, 1 interior laptop sleeve, 2 small interior pockets, interior d-ring to clip key ring, removable cotton webbing cross body strap. Oh and it is made in the US of A. All yours for $185 + shipping.